The Mulato chili is a mild pointed pepper from Mexico which is used for the popular brown Mole Sauce and for stuffing, among other things. 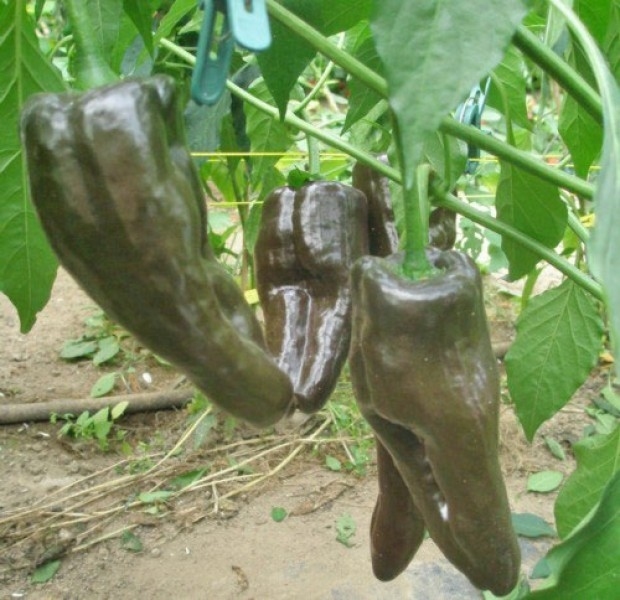 It is closely related to the poblano (ancho), and usually harvested overripe and sold dried. The peppers are dark chocolate brown with a mild heat between 500 and 2,500 Scoville units. Their taste is extraordinary: a smoky, licorice flavour with hints of dried cherry and tobacco. They are used for salsas, dips and meat dishes.